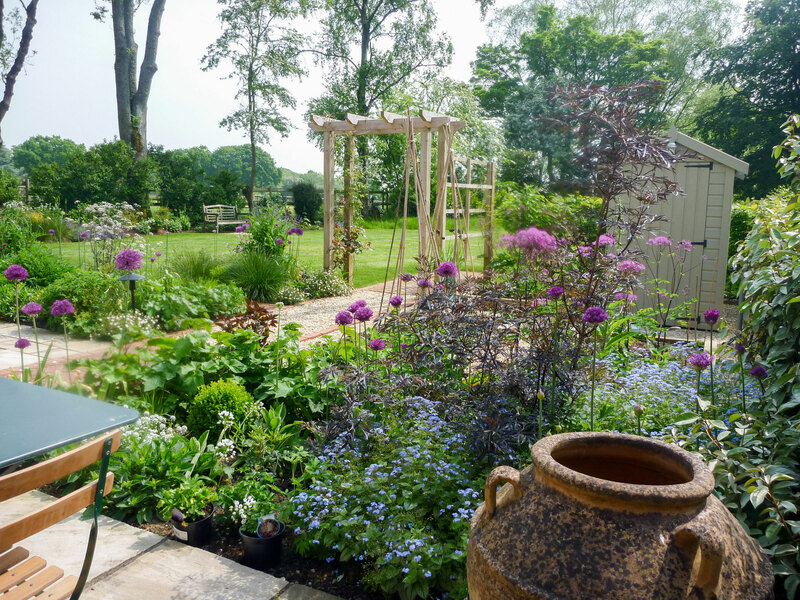 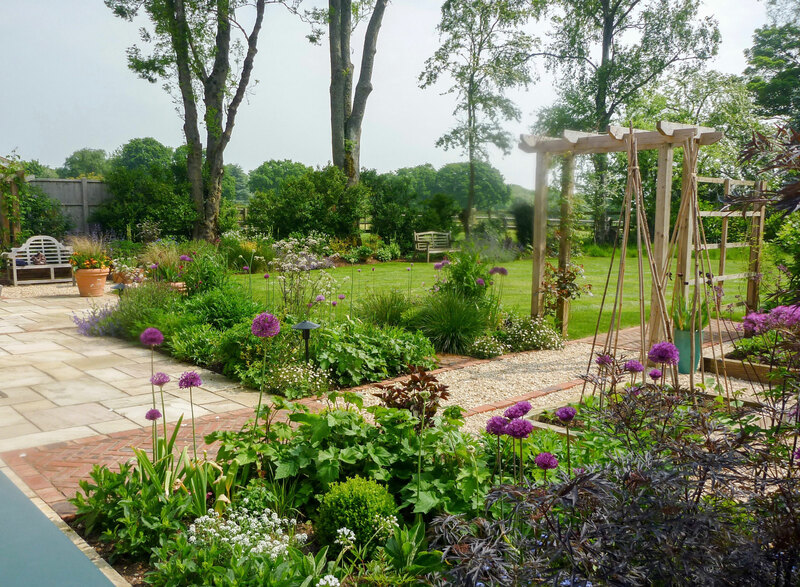 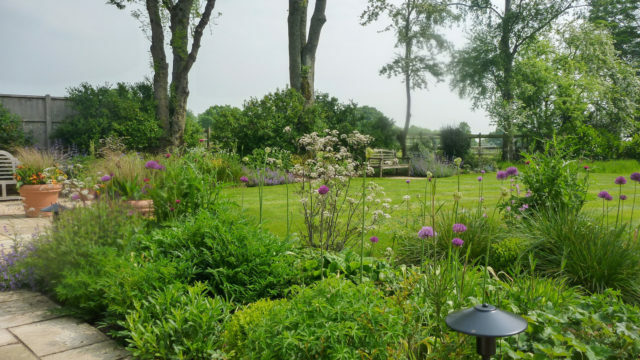 My clients had recently moved from London to this house on the outskirts of Alton in Hampshire, and having recently retired they wanted to create a beautiful outdoor space where they could enjoy spending their time. 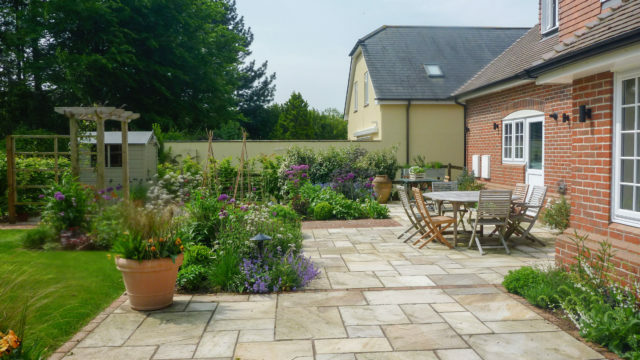 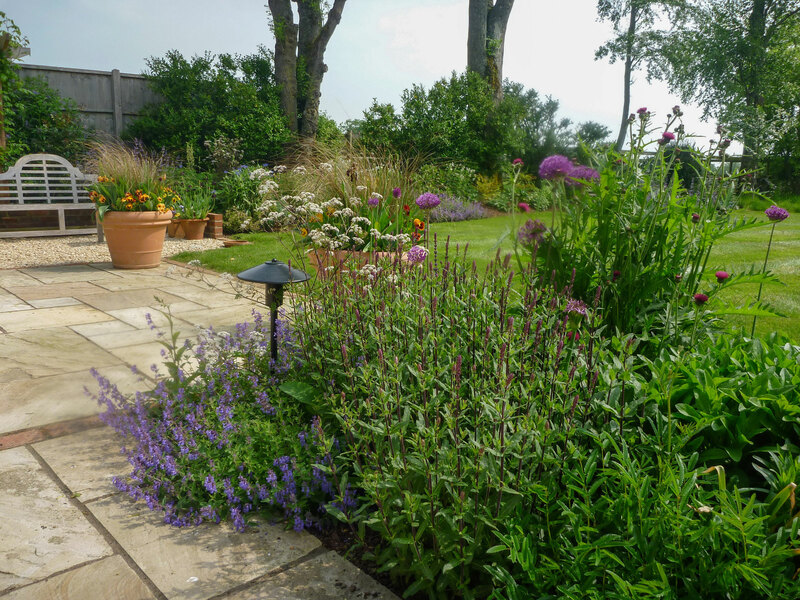 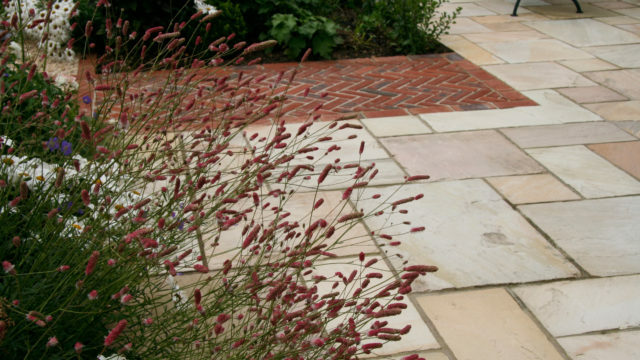 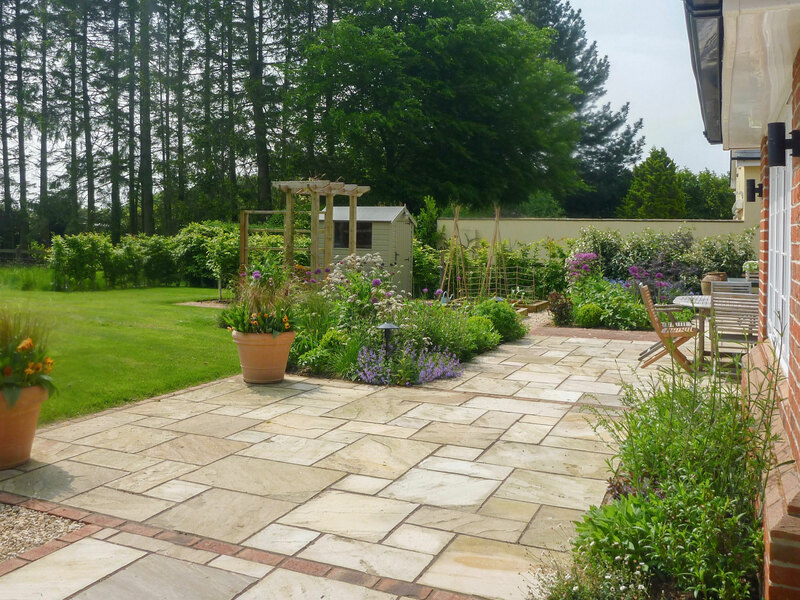 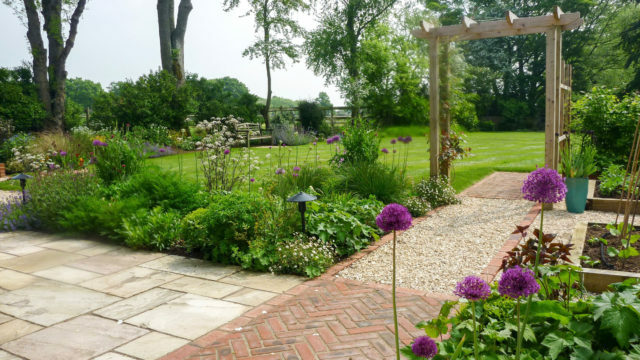 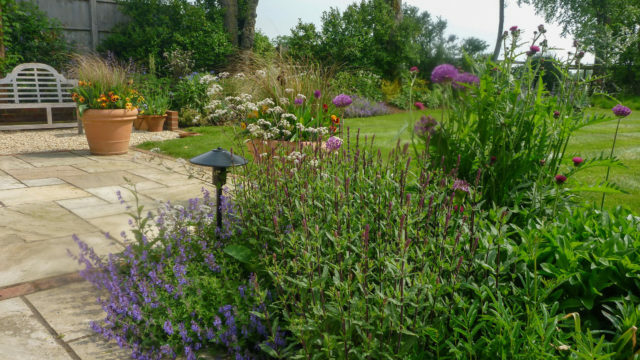 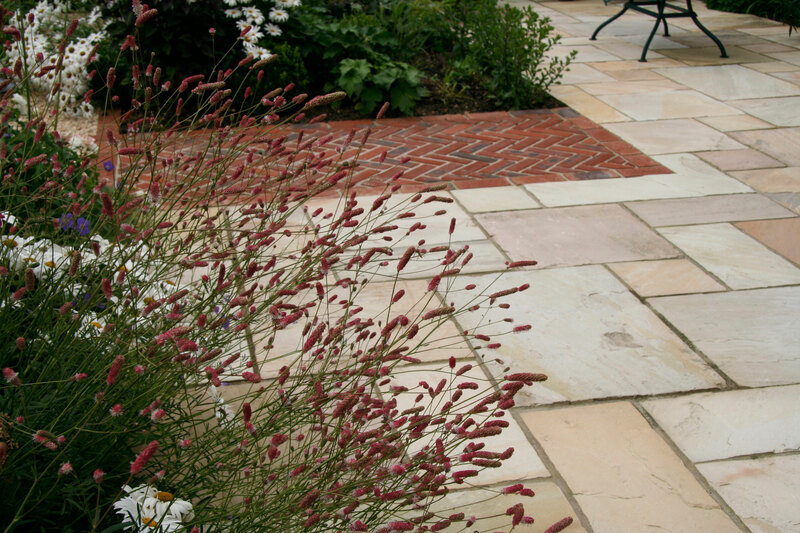 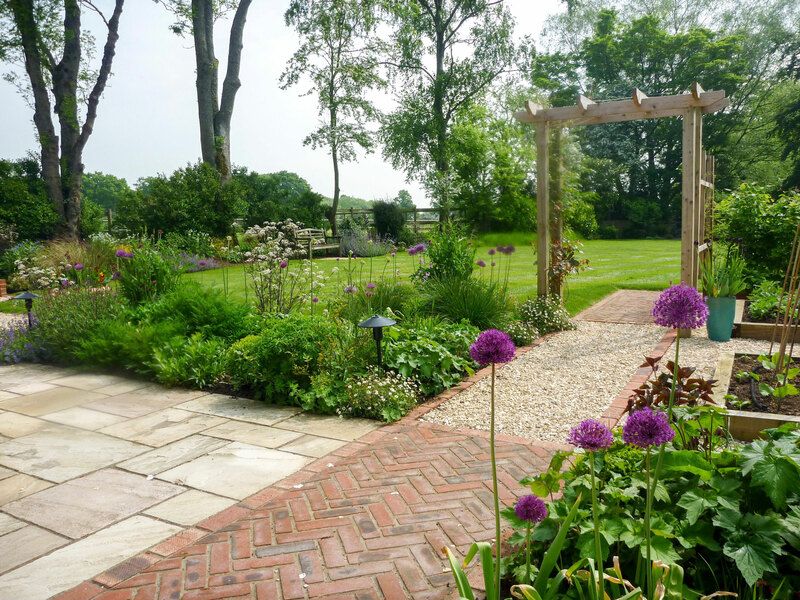 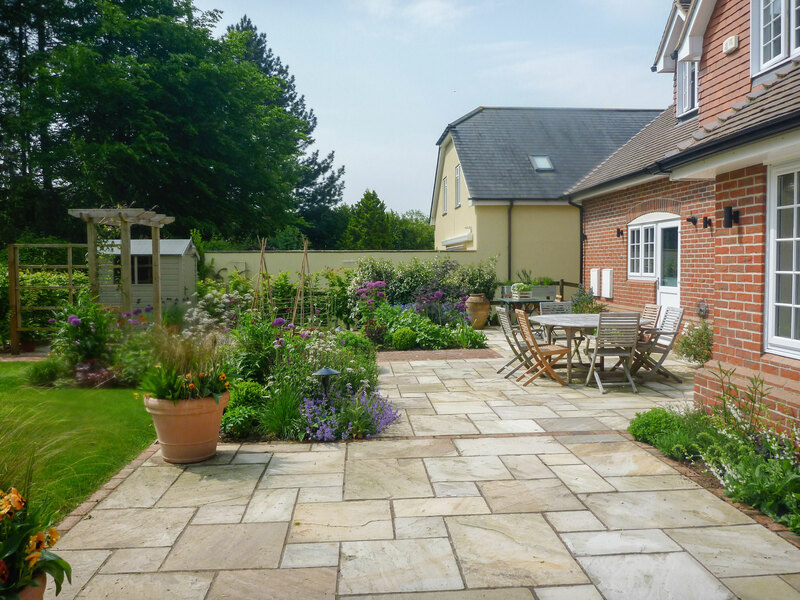 A boring strip of paving running along the back of the house was replaced with a mix of paving, brickwork and gravel, creating different zones at the back of the house, all of which are now softened by planting. 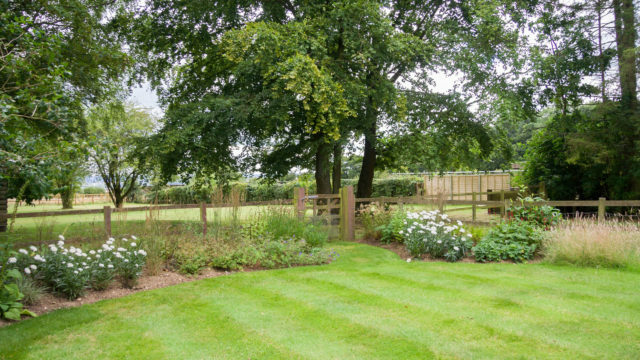 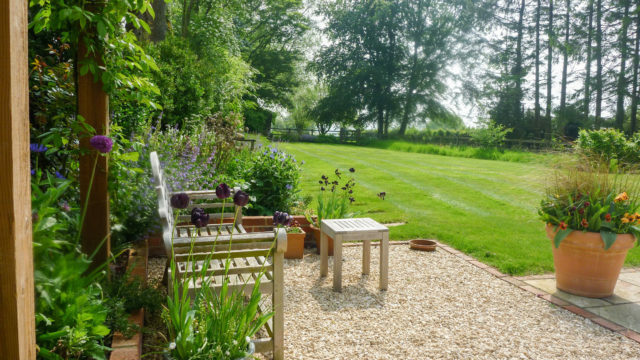 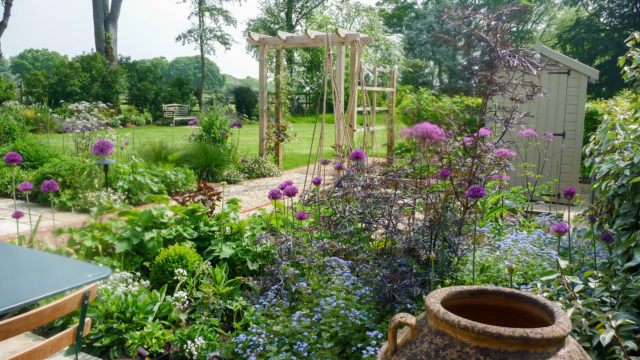 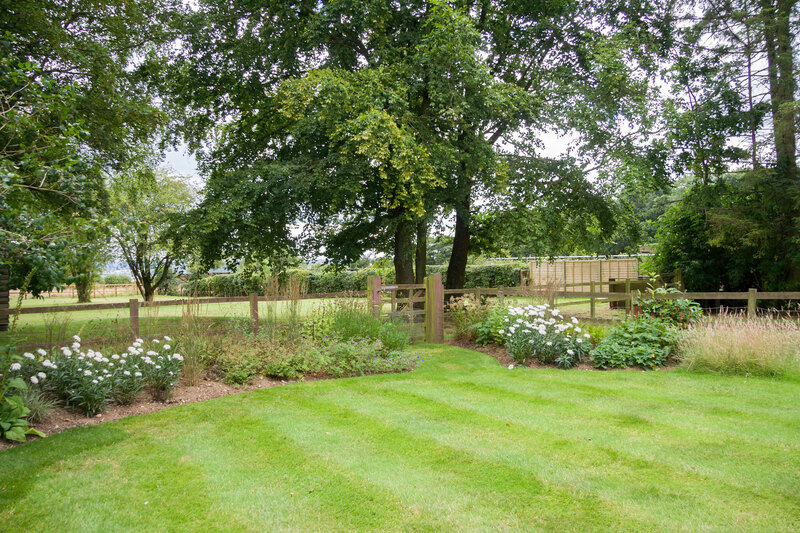 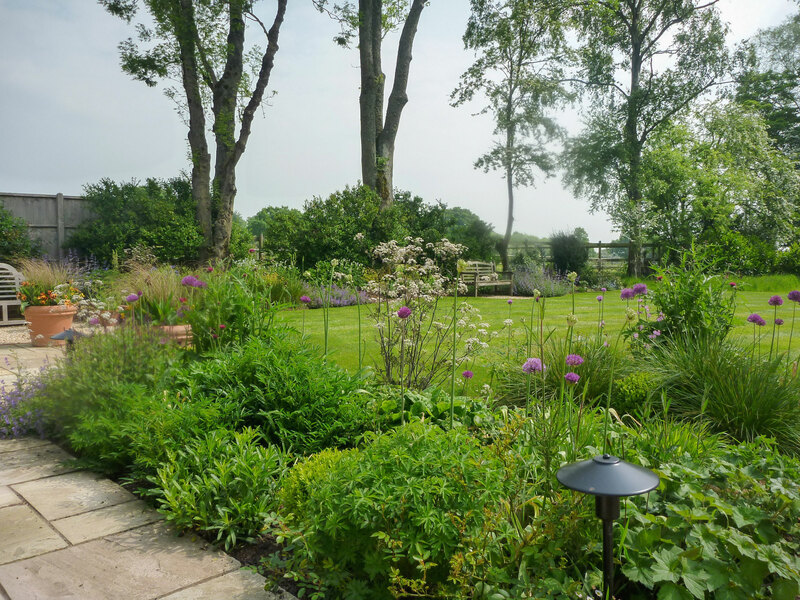 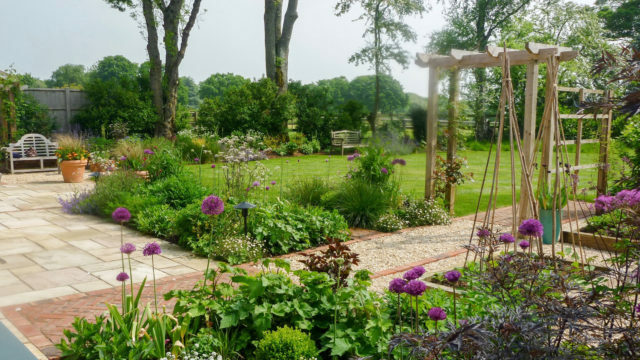 The lawn has been shaped with borders at the far boundary planted in a very natural style sympathetic to the open views of the countryside beyond the garden. 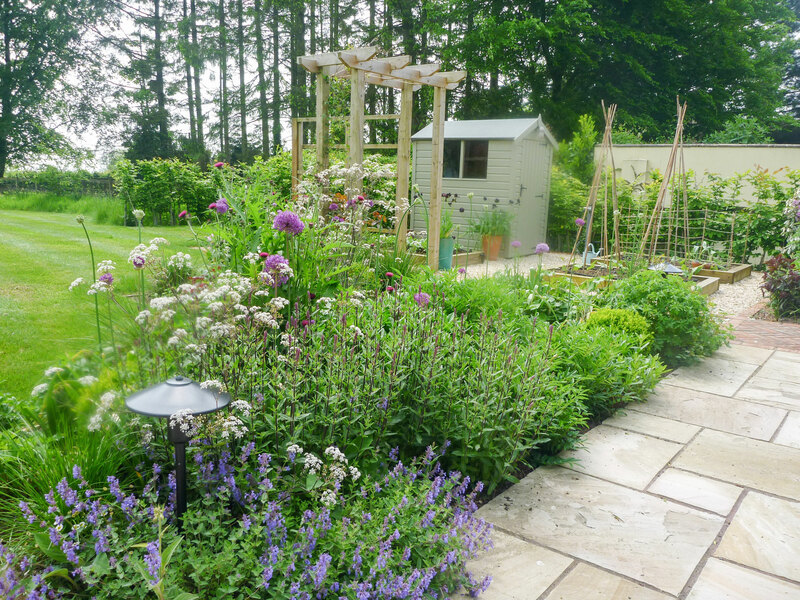 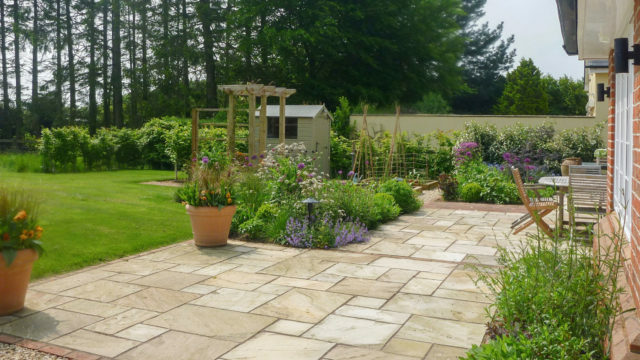 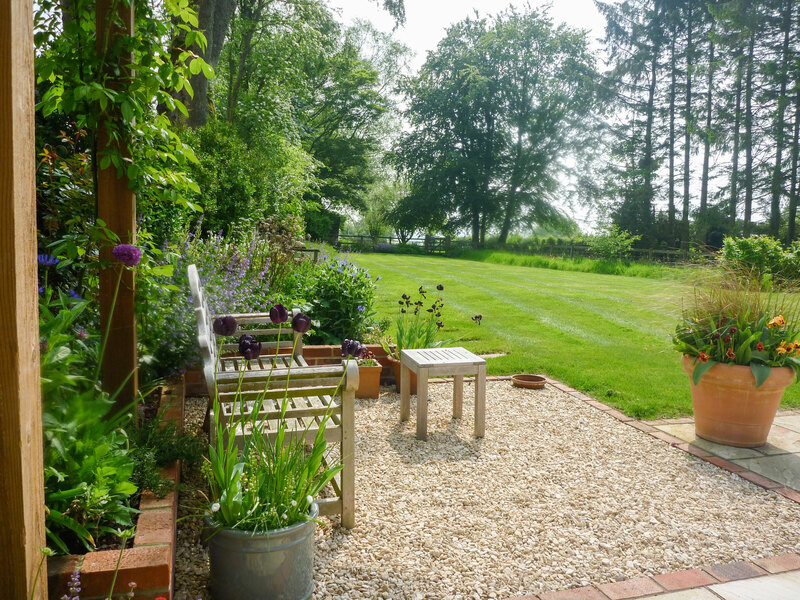 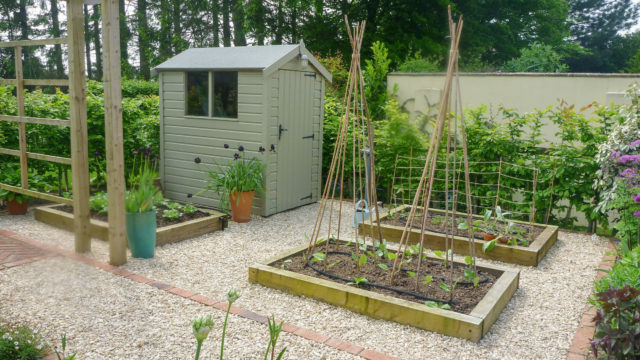 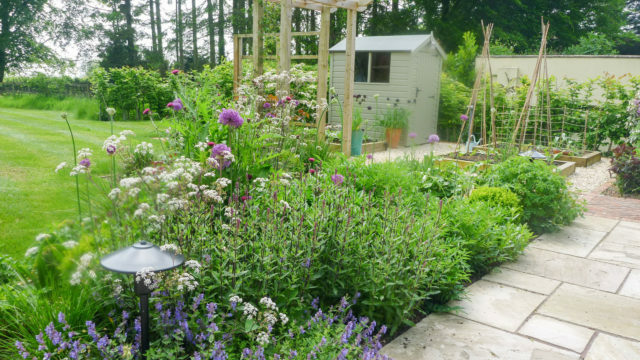 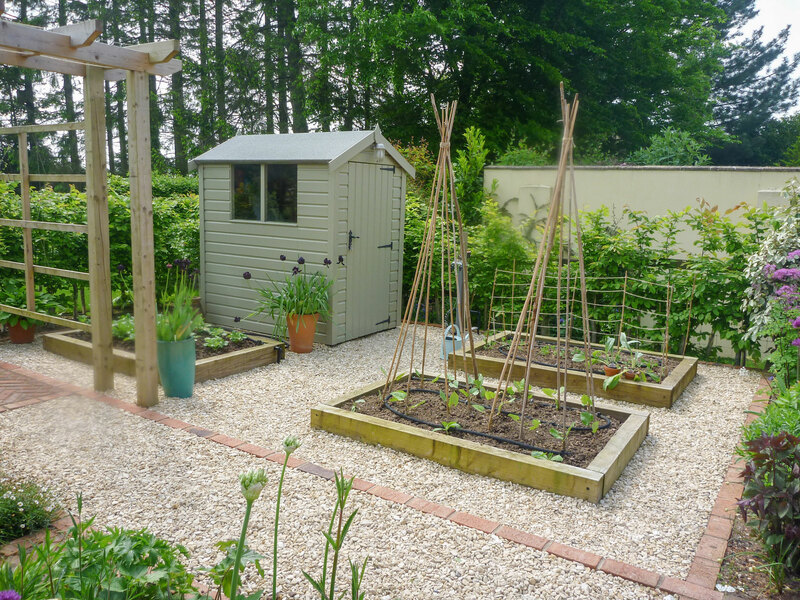 A small seating area has been created as a space to enjoy the evening sun, and a kitchen garden was built so that my clients can enjoy growing fruit and vegetables at home.